After having her purse robbed, in less than 24-hours a woman was then victim of a home invasion in Piedmont. Police and the woman believe the two incidents could be related. Jodi Hernandez reports. A 44-year-old Piedmont woman is recovering after surviving two violent attacks. Both crimes are under police investigation and detectives said the incidents may be related. 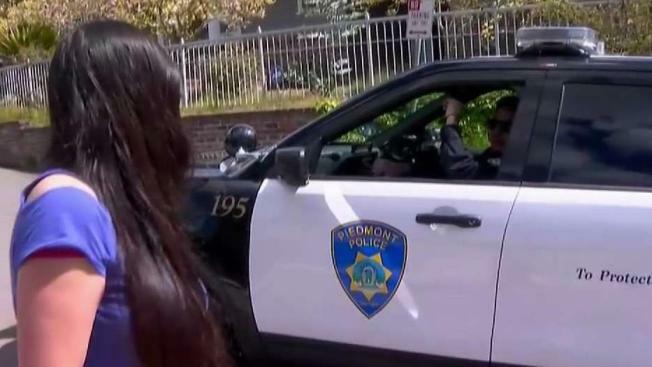 The first incident occurred Wednesday in Oakland's Chinatown when the woman had her purse stolen. "I fell down on the floor he was dragging me down the street and got away," said Victoria, who did not provide her last name. The woman said she immediately changed the locks to her home after the robbery. But that same night, four men armed with guns broke into her home. The four men tied both Victoria and her son, terrorizing and asking them for money and jewelry. "He had a gun pointed right at my head like he is going to shoot me," Victoria said. Police in Piedmont and Oakland are working together in investigating the crimes.